Running into some trouble with your database or computer? Aleph IT is ready to give you a hand and we do IT Repair Kewdale at an affordable cost. We have successfully provided IT repair services throughout Australia. In fact, we provide fast, efficient and effective IT repairs which are covered by a full protection warranty. Aleph IT is a dedicated remote and onsite computer repair company with a reliable team to fix your IT problems. It doesn’t matter where you are as long as you are connected to the internet. This is because we give a specialised remote option for you if you can’t meet us personally. 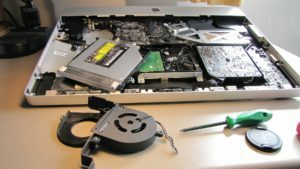 Our proficient repair technician can help you with anything technical such as removing viruses, fixing broken wireless networks and other computer faulty hardware. In fact, we can guarantee to find solutions to your problems or else you won’t have to pay a cent. These are not the only ones! Moreover, we offer maintaining the IT system of your business. We have many customers who can trust us because we only offer top-notch services! For small and medium sized businesses, we offer solutions and network management. Also, you will have the convenience that no other IT company can give you. We see to it that you get full benefits from our services and provide the best for your own customers! That is why we are the best IT company that offers IT support business Kewdale. You will get more than what you paid for. Give us a call and we will be happy to provide you the best IT Repair Kewdale! This entry was posted in Aleph IT Services. Bookmark the permalink.